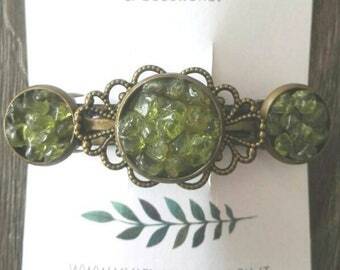 Women's jewelry, fashion jewelry and accessories inspired by Nature. 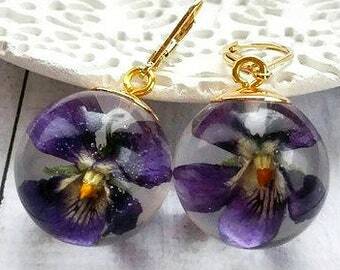 Artisan jewelry made in Italy, handmade resin jewelry, real pressed flower jewelry, real flowers jewelry, botanical necklaces, pressed flowers pendants, plants and petals preserved and encased in crystal clear resin, keepsake jewelry, memorial jewelry. 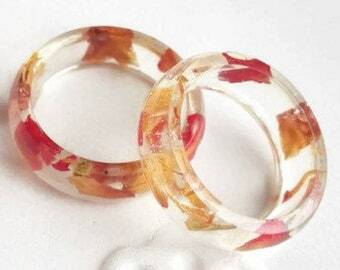 Resin bangles, real flowers earrings, resin stacking rings. 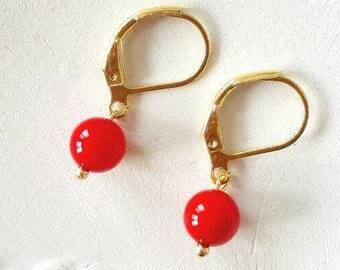 Modern and vintage bridal romantic jewelry, wedding jewelry, bijoux romantiques en resine, resin schmuck, joias de resina. Celebrate your important occasions with meaningful dainty jewelry! Buy for 100€ or more and automatically receive free shipping. Since 2015, passionately handmade with dried flowers, high grade chemically safe resin, vintage and quality materials. 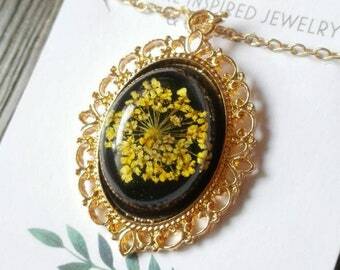 This is a place to remember that Happiness increases when we are connected to Nature, so here you will find gifts good for self-esteem and positive vibes, made to empower and enhance the beauty of the wearer! Made in Italy, for elegant women. In my studio I experiment different mediums and techniques, under the guidance of the love for our Earth, for beauty and elegance, so you will find also gemstones, crystals, wire-wrapped jewelry, upcycled vintage findings and much more! I am glad to be contacted for custom orders. I absolutely LOVE my little Violet earrings and pendant! An homage to my mother, Violet, who passed away in 2012. 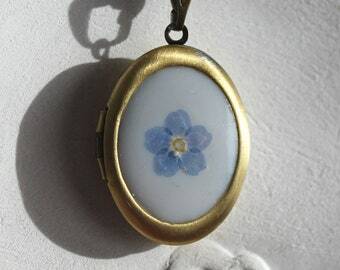 I try to keep her memory alive every day by doing, wearing, writing or creating something that reminds me of her. Thank you for this beautiful memorial!!! 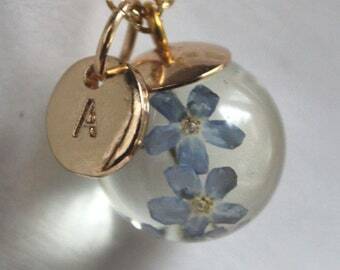 Personalized flower jewelry just landed in the shop: choose your letter charm! 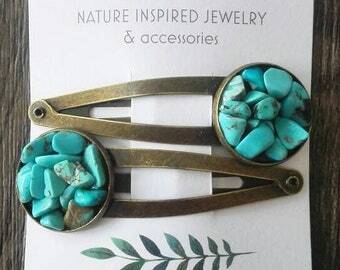 Boho turquoise hair clips back in the shop! 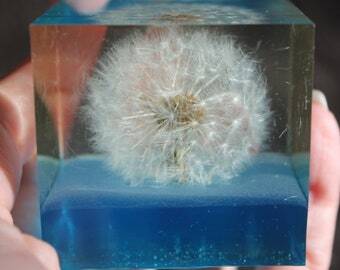 A real dandelion just incapsulated in an everlasting gift. materials. 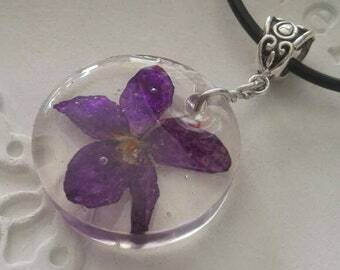 Flowers are picked, dried, preserved and included in crystal resin with a long accurate procedure. Resins are molded, coloured, polished by me. Components are found in local italian and around the world vintage markets. 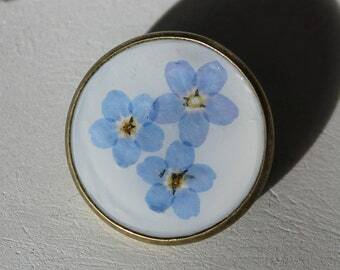 My creations are one of a kind, as made with real flowers and real inspiration. If you are looking for a dream or wish to find a special present, knock and let me fill your hands with wonder. From Italy with love. Hello! 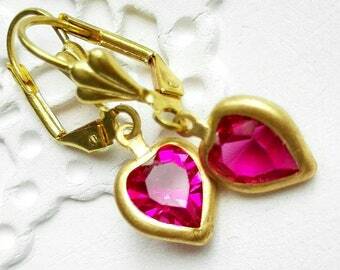 I am Rossella and I run Myjewelsgarden. 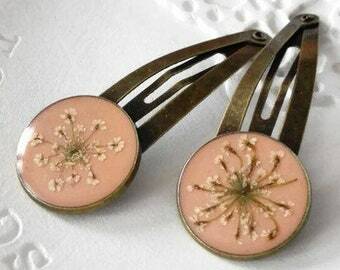 I started making botanical jewelry after a long self-taught path, enchanted by mother nature's secrets... creating is my life! I am a doctor, and part of the shop revenue goes to humanitarian projects. Myjewelsgarden takes extreme care in the processing of your personal data, in accordance with the General Data Protection Regulation (GDPR) of the European Union. • Shipping service providers. I use trusted third parties to ship your order and I will share your personal information with them, but only to the extent necessary to carry out these shipping services. • Compliance with laws. I may collect, use, retain, and share your information if I have a good faith belief that it is reasonably necessary to comply with my legal, regulatory and tax obligations, but also to resolve any disputes, for reasons of safety and technical problems. Generally, I keep your data for a period not exceeding 7 years. • Object. You can object to my processing of some of your information. I will delete your personal information unless I have compelling and legitimate grounds to continue using that information or if it is needed for legal reasons. What is the order processing time and shipping method? What if I need express shipping? 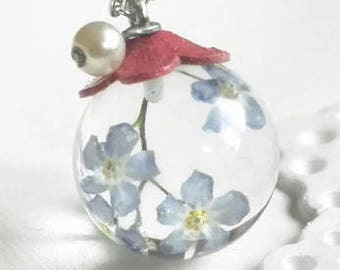 For rush orders, Express worldwide shipping with UPS, TNT and other major couriers (1-3 days) with insurance, in the section "Add-on" or as an upgrade at the checkout https://www.etsy.com/shop/MyJewelsGarden?ref=l2-shopheader-name§ion_id=20191312 with different fees for European and International orders. See details in listings and contact me for inquiries. Any exceeding amount of the indicated fee will be refunded, as shipping rates are checked from time to time to get the most economic one for you. Every creation will come to you on a fancy nature inspired display card, nicely packaged in a matching organza pouch and wrapped in pastel tissue paper, free of charge, and enveloped in bubbles sheets to reach you safely worldwide. In the section "Add-ons" you can find elegant cardboard jewelry boxes and limited edition tin boxes for your gifts. A special gift wrapping service is available in every listing. 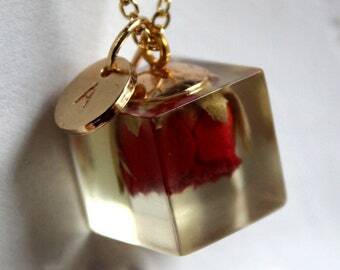 Myjewelsgarden features wrapping paper, cardboards and business cards made of recycled paper. Multiple orders are packed and wrapped together unless you ask for separate wrapping in a message after purchasing. Keep jewelry away from scratching materials, alcohol, acetone and water. 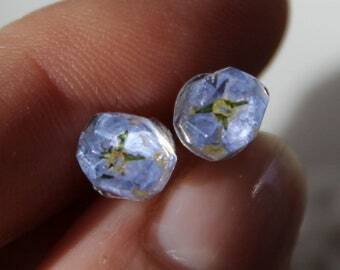 Resin is a high grade one, and flowers are preserved with the best techniques, but as biological sourced they should stay far from strong heat sources or beach sunlight, to preserve the colour at its best, and stored out of light. Clean resin with a dry soft cloth and fast circular movements. Sterling silver components and other metals from copper to gold may turn darker for the natural process of oxidation unless differently stated in listings. Please read carefully before purchasing, and for any doubt feel free to contact me. Accordingly with the availability of plants and materials, I will be happy to create something special for you. Consider I need about a week to create a piece. Convo me and I will swiftly answer. Custom items must be paid in full before work begins, and may be cancelled within 24 hrs following placement of order. After 24 hrs custom orders are subject to 50% cancellation fee. You can track your package here: www.17track.net Some local postal services do not provide on-line tracking for international registered airmail, such as Canadian and Australian post. In this case the tracking shows the last place in Italy where your parcel was registered. Package is considered as lost if it doesn't arrive within 40 business days from shipping date and tracking doesn't work. I will fill in the claim about the lost on my own. After that, while the claim is being proceeded, I would resend the same items to you or refund the full amount of order (you can choose your favourite option). Any issue please contact me first to make it right, before leaving feedback. Customer service is my top priority: I want you to be happy, I'll find a solution! If an item is received damaged, I will file a claim with Postal Service and issue a full refund, the same if defective ( A photo of both package and item s needed as a proof). If you receive an item in good condition but you want to send it back and get a refund contact within 14 days from delivery, send back within 21: shipping costs for return not refundable. Write "returning goods" on the customs document or customs fees will be applied to you. Refund will be provided after receiving it back in perfect condition (item not opened). Custom orders can't be returned unless damaged. Help! I need hypoallergenic jewelry! Don't worry, just ask! 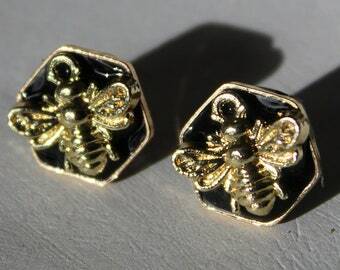 Some hypoallergenic nickel free earrings are already listed in the shop, find them by the search bar in the Homepage. 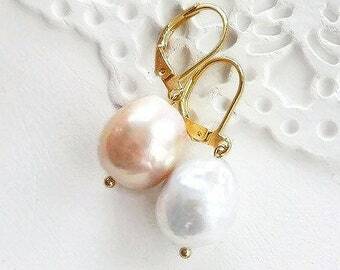 I can customize almost everything with hypoallergenic metal or plastic hooks for sensitive ears.